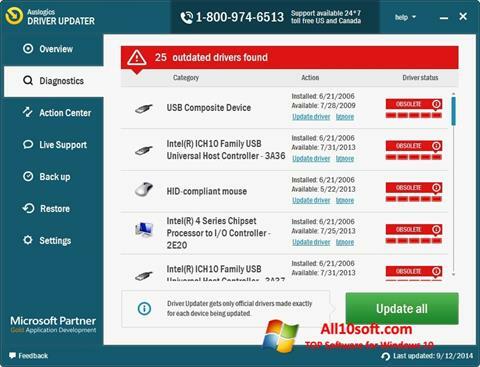 Auslogics Driver Updater for Windows 10 - driver update utility. The application analyzes the hardware component of a computer or laptop, generates a report on the devices used, software versions and the latest installation dates, includes the ability to create a backup and restore point. The program interacts with the official repositories of component manufacturers, downloads and updates driver versions in batch mode. The program supports connection through a proxy server, consumes a minimum of RAM and can download data in the background. You can free download Auslogics Driver Updater official latest version for Windows 10 in English.